Christianity is by far one of the most popular and widely-practiced religions in the entire world. Its influence is obvious in governments, cultures, and coinage throughout many different countries. 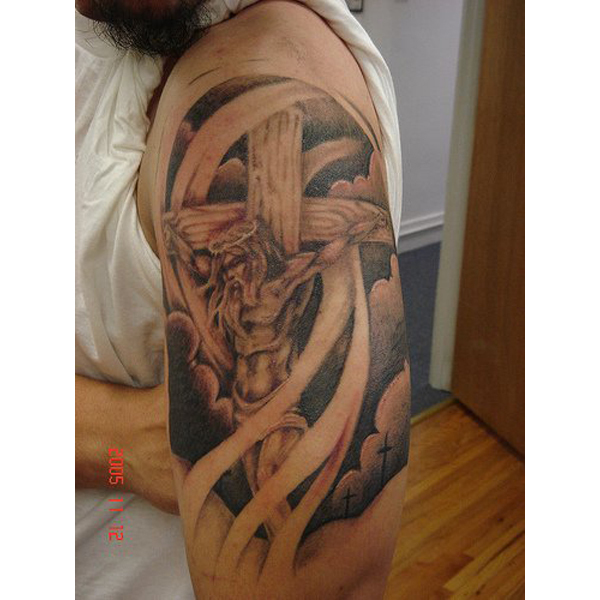 It is no surprise that with such a large number of followers, Christian-inspired tattoos are very common as a way for Christians to have a physical manifestation of their faith displayed proudly on their bodies. 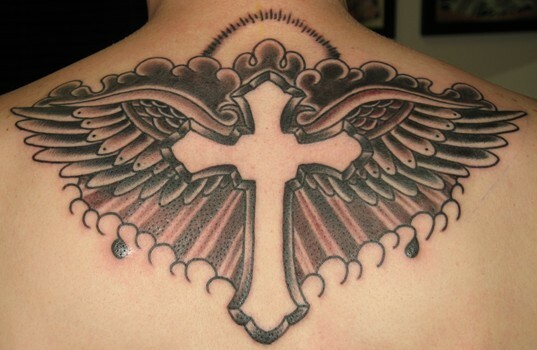 The types of Christian tattoos are highly varied and depend entirely on the person who gets it. 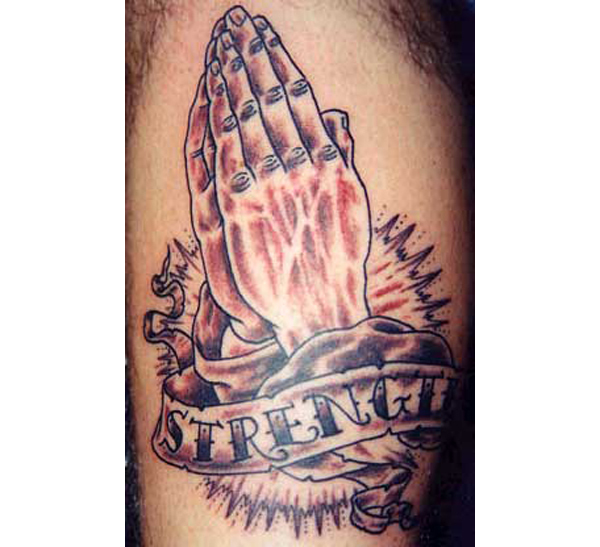 Some people choose to get a symbol such as a cross or praying hands. 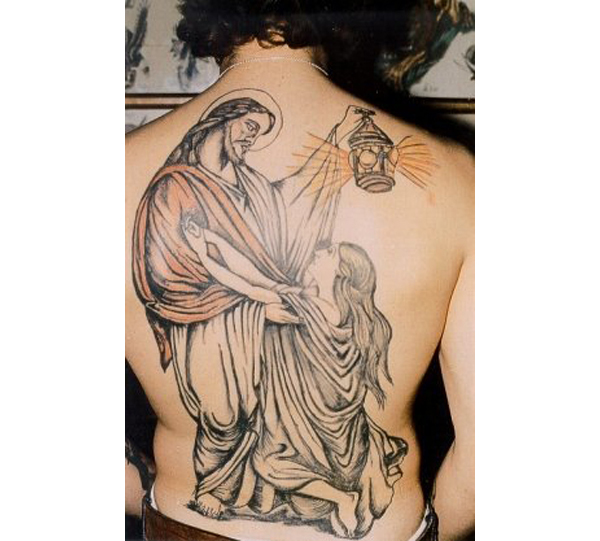 Others choose a much more literal image, such as Jesus Christ being crucified. Whatever the image, the purpose is generally the same; to remind themselves of the love of their Lord and Savior, and to help spread the word of God. 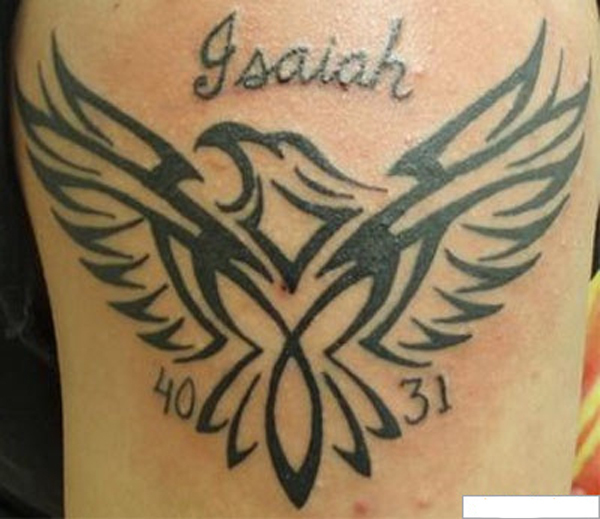 If you are a Christian considering getting one or more christian tattoos in honor of your faith, check out some of these inspiring photographs! The halo of light behind Jesus’ head is a reminder of the kingdom of heaven. 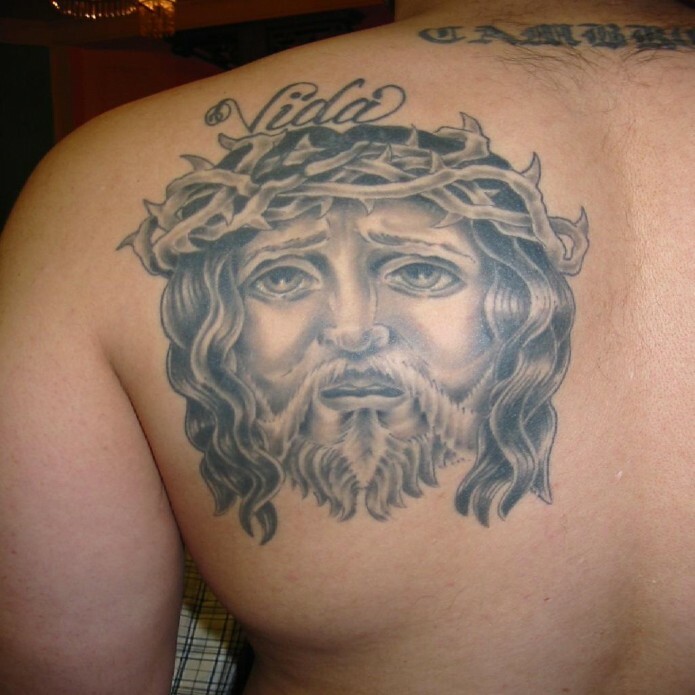 Jesus’ face is tattooed on a man’s back, perhaps as a sign of protection. 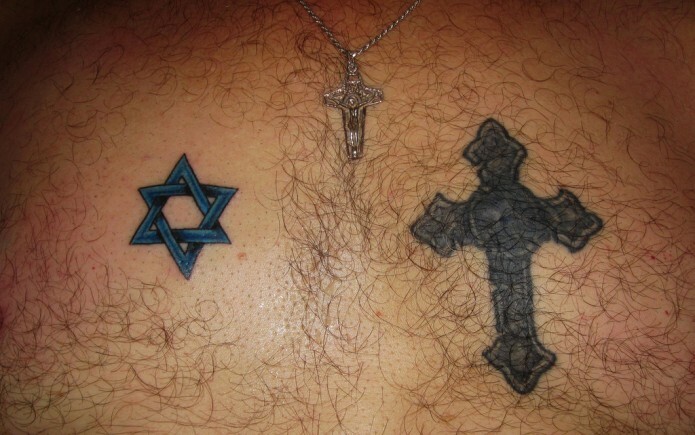 The Star of David and the Cross sit side by side. 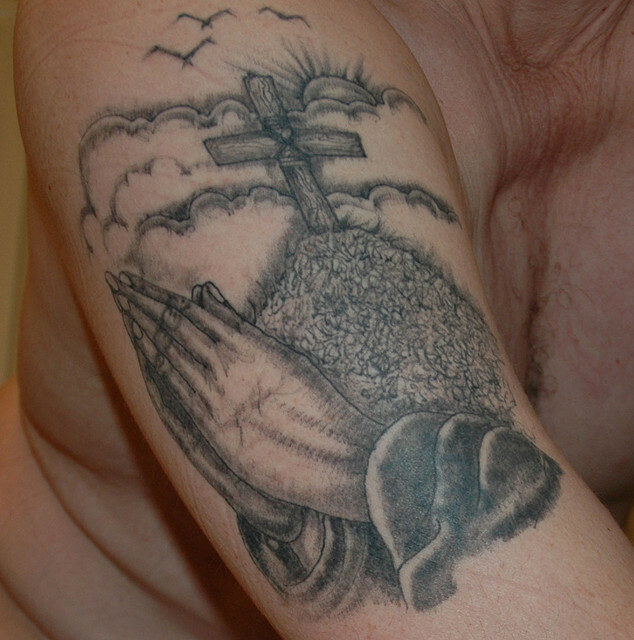 Praying hands, a cross, and a rising sun serve as a reminder of the resurrection. 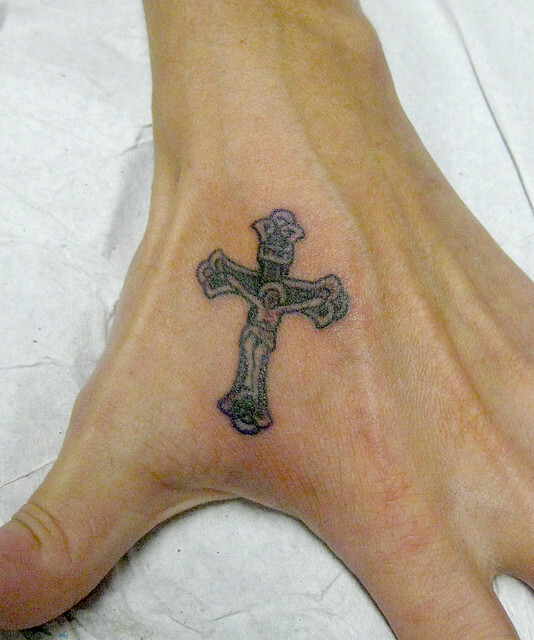 This small cross tattoo would be visible every time the person prayed. 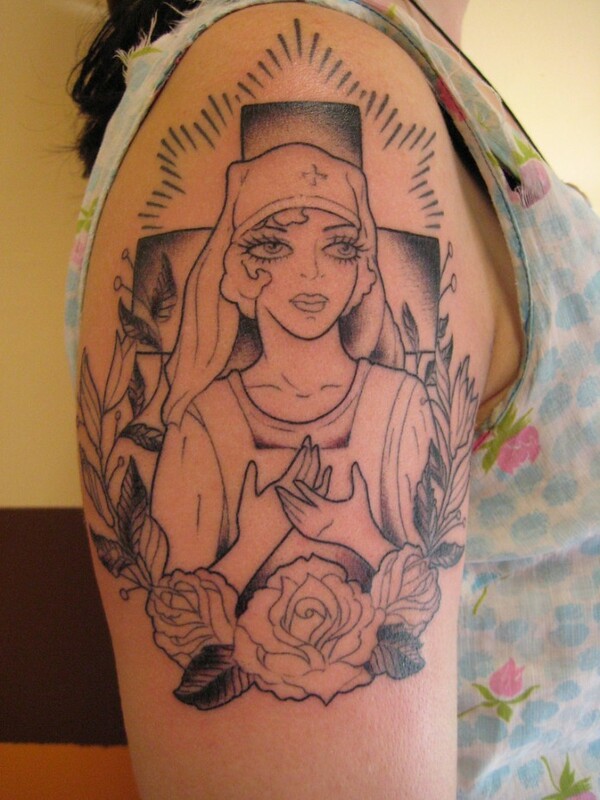 This tattoo represents a faithful female follower of Jesus. 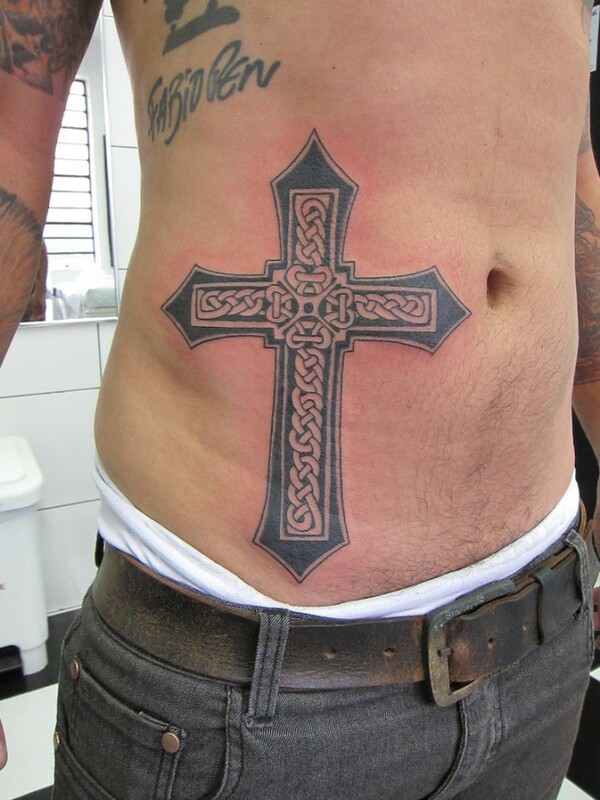 This cross tattoo has intricate knot designs inside of it. This emotional image is a reminder of the trials Jesus went through. 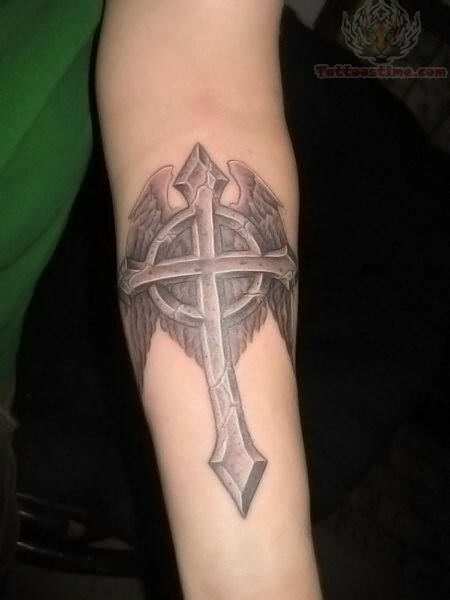 This cross tattoo is a reminder of the Savior. This beautiful and realistic portrait is a tribute to the Virgin Mary. 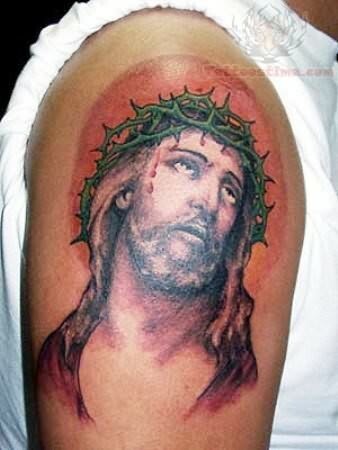 This tattoo shows Jesus in his crown of thorns. 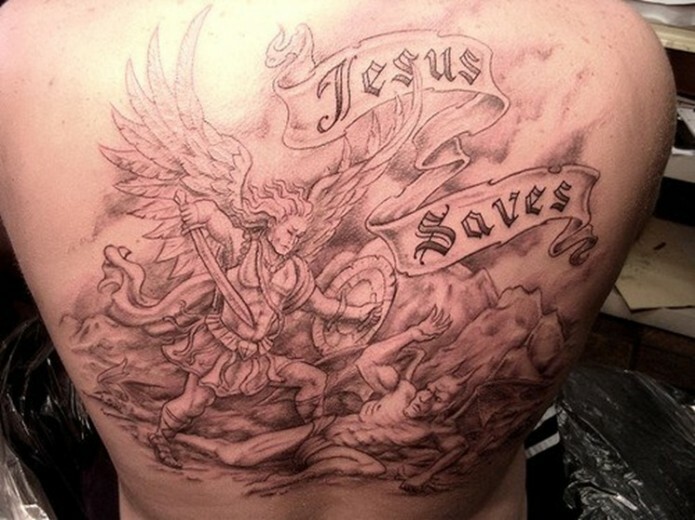 This tattoo shows Jesus’ willingness to help others in need. This image of Jesus on the cross is a reminder of the sacrifices He made. 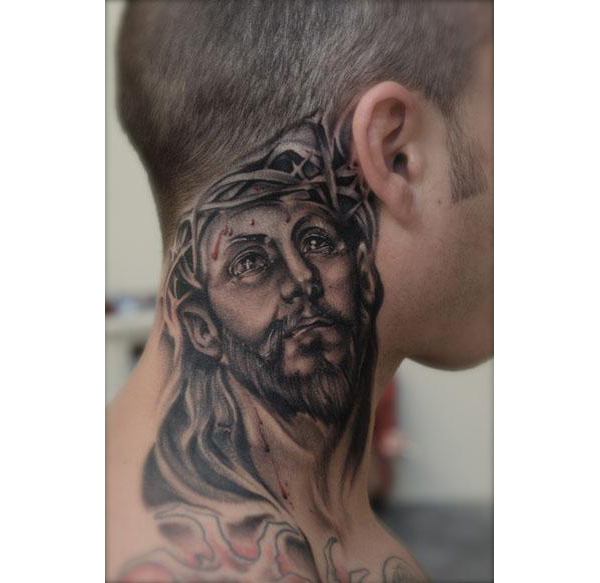 This lifelike tattoo of a crucified Jesus is placed prominently on a man’s neck. 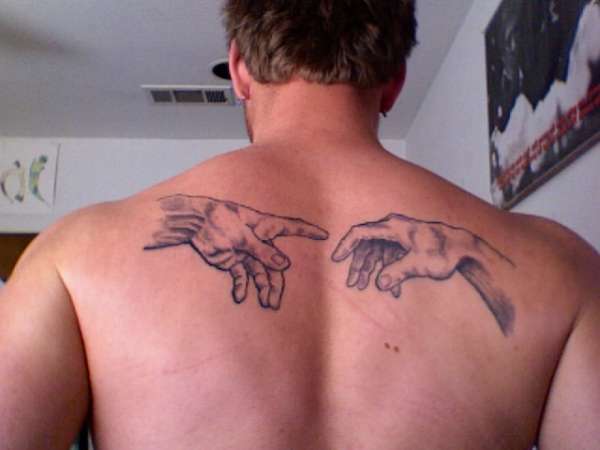 This tattoo of praying hands is a reminder for Christians to thank God for what they have. 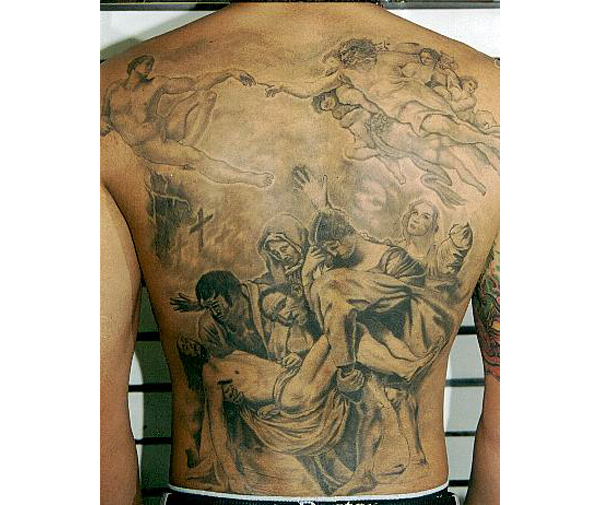 This tattoo is an extreme close-up of of a famous painting that depicts God reaching out to Adam. 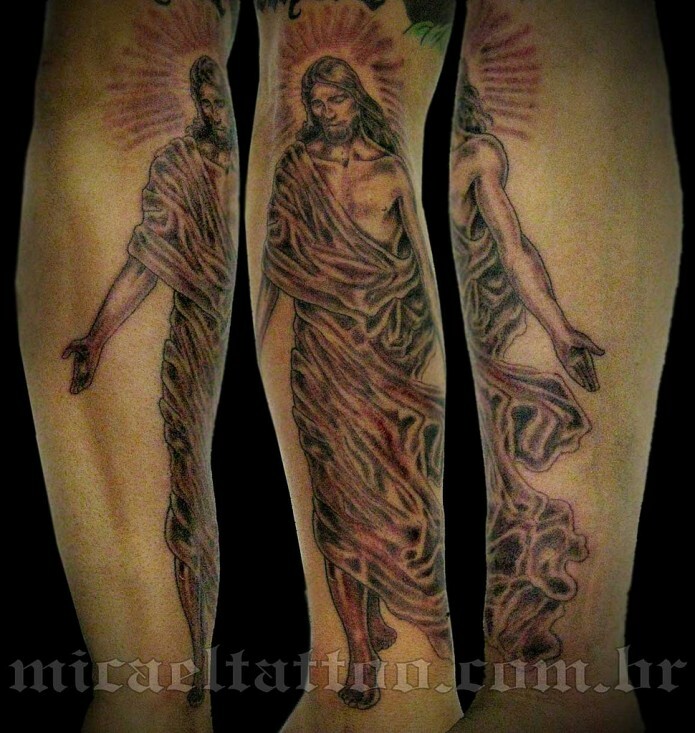 This tattoo pays tribute to the death and resurrection of Jesus Christ. 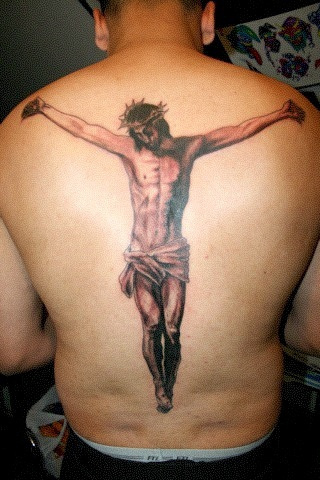 This tattoo is a reminder that Jesus died on the cross to bring sinners to heaven.